I felt a little silly as I searched my closet for gloves and a winter hat. Sure, it was December, but I lived in Florida. Only the weekend before I had been sweating in temperatures that had reached nearly 80 degrees, and now I was layering long underwear, sweatshirts and jackets. The sun may have been shining, but my car thermometer read 37 degrees. No matter. It was time to build an oyster reef! I have been working as the Communications Coordinator at the Choctawhatchee Basin Alliance for over 6 months, and I’ve visited our reef sites in Northwest Florida’s Choctawhatchee Bay many times. 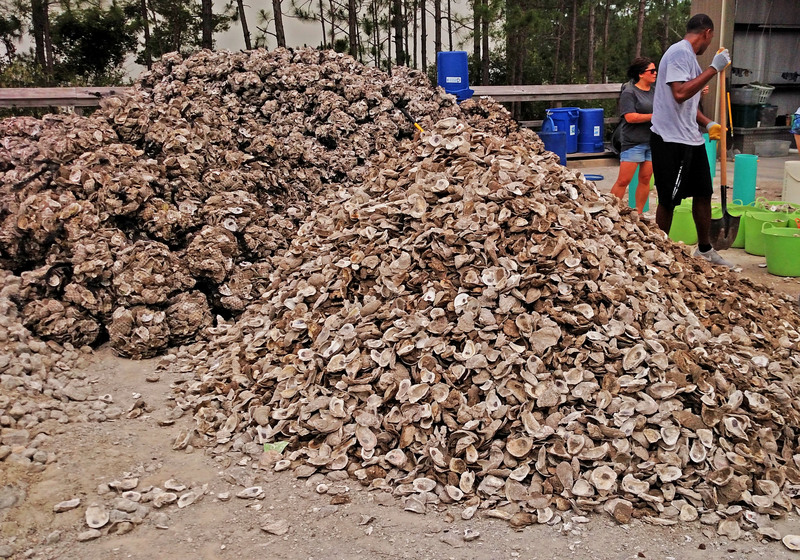 Oysters can filter up to 50 gallons of water per day and are a critical component of maintaining water quality in our brackish ecosystems. Additionally, the reefs reduce wave energy and protect the shoreline from erosion, becoming a mainstay of CBA’s living shoreline initiatives. Read the whole article on the Duke Nicholas School website; click here.